You might recall the original story behind eBay, the online auction site. It was touching and heartwarming. It made for great advertising. Even it wasn’t really true. Pierre Omidyar’s girlfriend collected Pez dispensers. But, her collection was limited by her ability to find the candy dispensers. So, he created eBay, an online auction site where anyone in the world could connect with like minded collectors. His story was that the site would allow Pez collectors all around the world to sell dispensers they wanted to convert to cash while allowing buyers to enjoyer a larger market. Geography would no longer limit collectors, of Pez dispensers or of any other product. Well, the story isn’t really true. 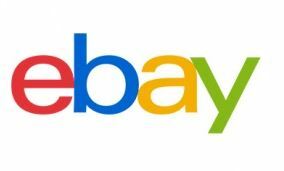 Omidyar created eBay as an online market place where anyone could sell anything and get the best possible prices since the markets for niche items would no longer be limited to specialized stores. It would offer the ability to conduct a worldwide garage sale. eBay was a remarkable idea and is a wonderful product, even if the story behind its founding turned out to be a lie. The problem for Pez dispenser collectors is a universal one for buyers and sellers in some markets. A lack of connections limits the available knowledge and could result in an unfair market. For example, a seller who is a nonprofessional Pez collector could be taken advantage of by a professional collector. While the risks for low priced items is relatively small, the risks for less informed buyers and sellers can be large in some transactions. Think about a house, for example, where an unscrupulous real estate agent could cheat the buyer or seller out of thousands of dollars. The reason real estate agents are so important in those transactions is the fact that most individuals will rarely be involved in the market. Many individuals will never buy a home and some will be involved in this type of transaction just once or a few times in their life. These individuals may not be unsophisticated but when it comes to the specifics of a transaction they know little about, they can be considered unsophisticated market participants. Other real estate transactions could be even more oblique to many individuals, such as the mineral rights associated with a property. Mineral rights are sometimes part of a real estate transaction. They can be a valuable part of the transaction since they can generate income. But, there are different types of rights. With producing mineral rights, the property owner owns the right to profit from production, say when an oil and gas company has already drilled on your property. Each month the owner receives a royalty check for their share of the oil and gas production. The value of the check is often tied to the amount of production, providing some defense against inflation since the value should rise along with prices. Non-producing mineral rights are the right to a future income stream, if the mineral rights are ever exploited by a producer. This could involve property that sits on top of an oil field, but the cost of production is high and the rights will not be exercised until commodity prices increase. The relationship between commodity prices like oil and inflation tends to hold in the long run. But, as the chart below shows, the short term relationship can be volatile. In the short run, the price of oil has generally been close to the rate of inflation. But, it can underperform or dramatically overshoot at times. The chart above indexes both the consumer price index and the price of oil to 100 in 1986 to make a direct comparision. 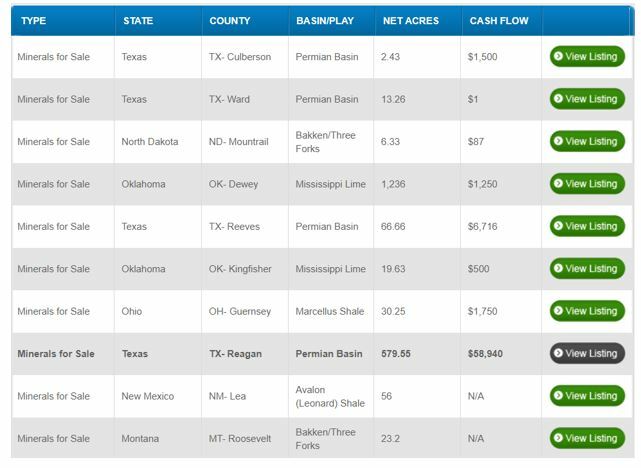 These mineral rights are an income producing asset and many investors are unaware that the rights can be bought and sold like any other asset. The USMineralExchange.com web site is a market place where these rights can be traded. It seeks to address one of the key problems mineral owners face which is ensuring they get maximum value when they sell mineral rights. Traditionally, mineral owners had to rely on a local broker to help them determine what a fair price was. With limited options and very little information, mineral owners were often selling mineral rights far below market value. Another problem with that system is that non-property owners were shut out of mineral rights. The USMineralExchange.com created a custom built listing platform that allows mineral rights owners and individual investors to connect. 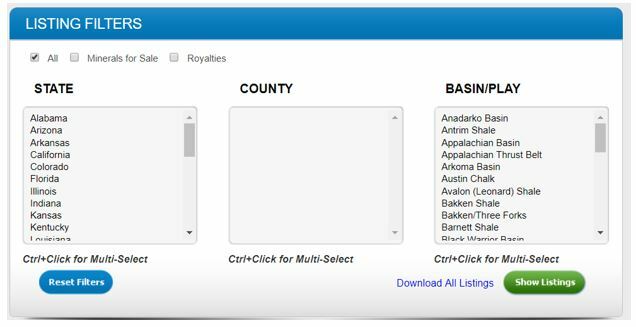 Listings can be selected by a variety of filters. This allows investors to find properties of interest based on location or by the area that they believe is going to be most profitable. In addition to geographic diversification, investors can also diversify by the size of the property. In determining prices, production capacity will be the primary factor to consider but size is correlated to production in some cases. The available listings recently ranged from properties that could be suitable for small investors to properties that might be appropriate for large, well capitalized investors. In considering the risks, it is important to remember there could be a degree of information asymmetry and the seller could be attempting to sell before an adverse event. That makes it reasonable to evaluate the offer in light of nearby properties, assessing trends at a level of granularity at least equal to the county level to observe changes. But, in many cases, sellers will simply be attempting to raise cash for other needs or to diversify their own portfolios. There will always be some deals worth considering and others that are overpriced. Mineral rights are another investment opportunities that investors, especially those concerned with the possibility of inflation, should consider. They are an asset class many investors are unaware of but one that could be valuable as prices rise. Of course, the value of these rights may vary with the price of oil. Investors who believe oil prices will fall could consider watching the market, studying it to benefit from a possible pullback.